THE COMPANION: Dedication on Da'wah Towards Allah SWT and His Rasulullah SAW. Dedication on Da'wah Towards Allah SWT and His Rasulullah SAW. A Responsibility of every Muslim. Calling people towards Allah SWT and towards Rasulullah SAW was the action that Rasulullah SAW and the Sahabah RA loved more than anything else. It also draws attention to the fact that their ardent desire was for mankind to be guided towards the Deen of Allaah and to enter its fold so that they may be immersed in Allah's mercy. In addition to this, it focuses on their tireless efforts to achieve this so that the creation could be linked to their Creator. In these verses, Allah SWT informed Rasulullaah SAW that people will accept Iman only if the good fortune of doing so has been destined for them in the Lauhul Mahfudh. Similarly, only those people for whom ill-fortune has been destined in the Lauhul Mahfudh will go astray. Allah SWT then revealed to Rasulullah SAW. because they (the Kuffar) are not becoming Mu'mineen. (because of which they would be forced to accept Iman. rewarding or punishing them according to their merit). 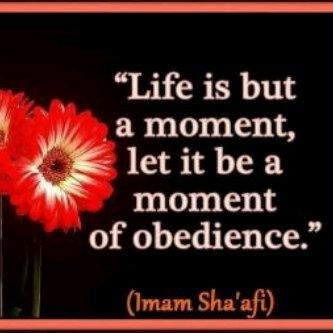 Rasulullah SAW Preaches to his People at the Time when his Uncle Abu Talib is about to Leave the World. Abdullaah bin Abbas RA narrates that when Abu Talib was about to leave the world, a group from the Quraysh came to see him. Among this group was Abu Jahal. They complained to Abu Taalib about what his nephew (Rasulullah SAW was saying and doing, including insulting their gods. 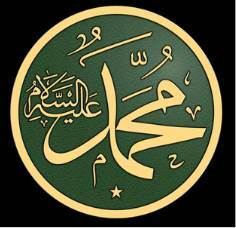 They expressed the wish that Abu Talib call for Rasulullah SAW and forbid him from what he was doing. 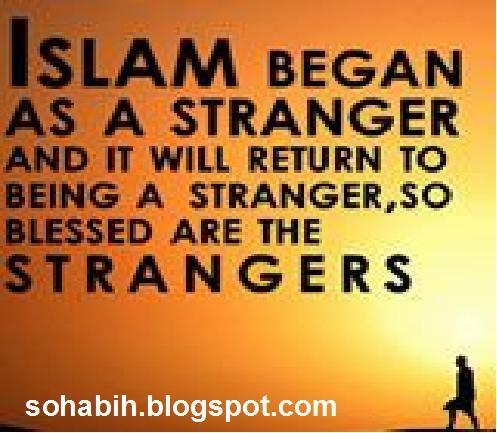 When Abu Taalib sent for Rasulullah SAW,he promptly arrived and entered the house. When Rasulullah SAW came to the room, there remained a space for one person between the group of the Quraysh and Abu Talib. Narrating further, Abdullaah bin Abbas RA states, "The accursed Abu Jahal feared that if Rasulullah SAW occupied the empty space next to his uncle, Abu Talib may become more lenient. Therefore, he jumped to occupy the place, leaving no place for Rasulullah SAW near his uncle. For this reason, Rasulullah SAW was forced to sit near the door. Addressing Rasulullah SAW, Abu Talib said, '0 my nephew! Why are your people complaining that you insult their gods and tell them so many things?' Upon this, those present started saying many things." Rasulullah SAW finally addressed his uncle saying, "0 my uncle! All I want these people to do is to accept a single statement that would make all the Arabs serve them and make all the non-Arabs pay them taxes." Taken aback by this, the people exclaimed, "Only one statement! By the oath of your father, we are prepared to accept ten such statements! What is this statement?" Abu Talib also asked, " 0 my nephew! What is this statement?" 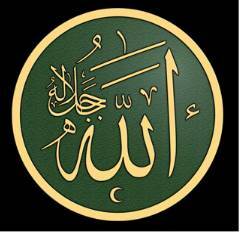 Rasulullah SAW replied, "Laa Ilaaha Illallaah ("There is none worthy of worship but Allah")." because they) have not yet tasted My punishment.